Marinating steaks offer great beef nutrition and flavor for an economical price. With some simple advance prep, marinating a steak in the fridge over night or for a few hours in your favorite flavors helps tenderize otherwise tougher cuts. This makes them melt in your mouth after grilling, broiling, or pan-frying to no more than medium and slicing against the grain. GRILL, BROIL OR PAN-FRY using medium-high heat, turning at least twice with tongs. Cook to at least medium-rare 145°F (63°C). Looking for some great marinade recipes? 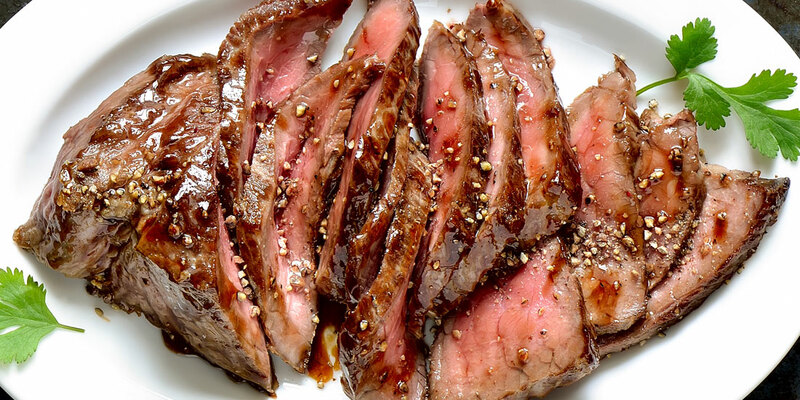 Food & Wine magazine has some great ideas to boost up your steak’s flavor and tenderness.